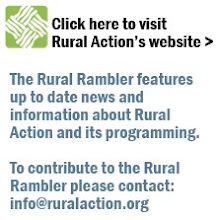 The Rural Rambler: Gifts for the Rambler on Your List - Shopping Shawnee! 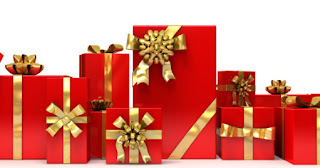 Gifts for the Rambler on Your List - Shopping Shawnee! You may not know it, but historic Shawnee in Perry County is home to two of the area's most fun and unique gift stores around! The Community Exchange Gift Shop and Little Cities Christmas both offer quality gifts and decor for your friends and family while supporting local folks. Nestled into Shawnee's downtown strip, you can't miss these great stores and don't forget to look around at the new open air garden and nationally registered historic buildings while you're there. Truly an experience for the season, get out to Shawnee today! Noon to 5PM Monday through Friday; 10AM-5PM Saturday; 1-5PM Sunday. This cozy and beautiful store features: Unique Gifts, Local Artisan Products, Gourmet Foods, Books, Candles,T-Shirts, Kitchen Items, & So Much More. Come and browse to your heart's content! Just across the street in the first floor of the old Tecumseh Theater. This seasonal store is operated by local youth and features: Local Artists, Little Cities Books and gear, as well as fresh cut Christmas trees for all you procrastinators out there! Don't let this season slip by without checking out all the great local gifts in your area! We'll be posting more in the coming week and would love to hear your suggestions as well. Speak up in the comments and let us know what else is out there!